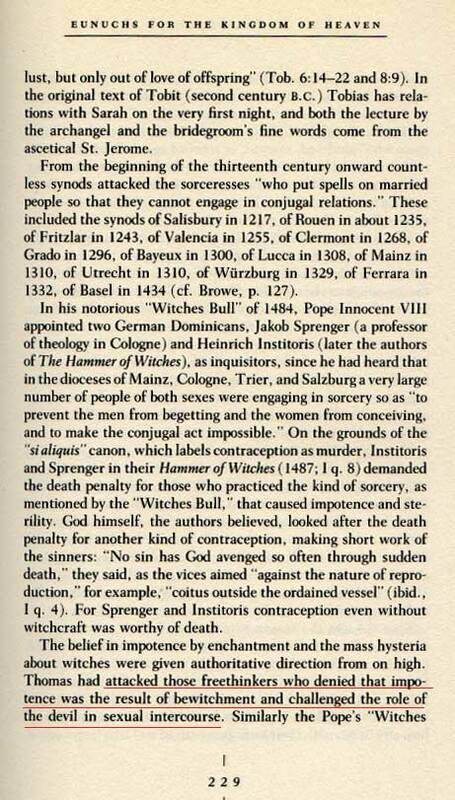 "None may doubt that there are many who have been bewitched by the power of the demons." Above the primordial is viewed as "the devil". Our nature has power and authority over us. This is biologically dependent. Biology must remain politically incorrect as well as psychology. That is why this site may be disturbing to some people. 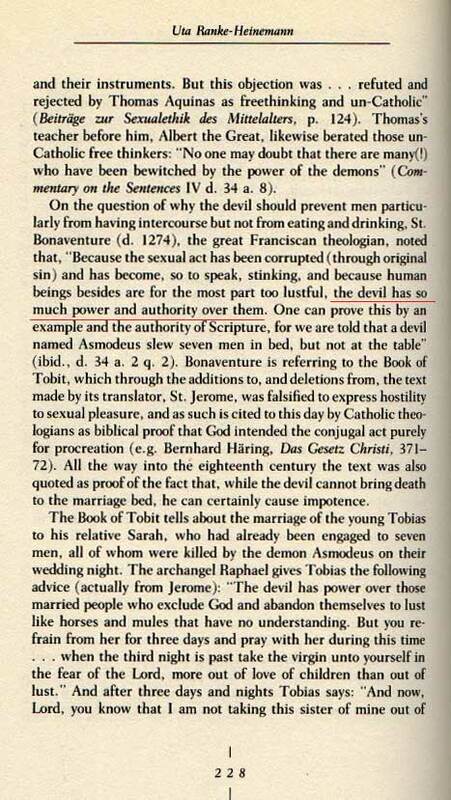 Something was happening to cause impotence and Aquinas new that it was associated with the occult.